The possibilities are endless with all this square footage! This large well maintained home in downtown Elizabeth City has 5 large bedrooms, 2 full baths, some replacement windows, gutters, newer architectural shingle roof, vinyl siding, a large yard with plenty of off street parking and 2 electric meters as it is currently being used as multifamily with a kitchenette and living space upstairs as well as down and interior & exterior stairways. Downstairs has water to air heat pump, upstairs has wall units that will NOT convey. Sheep-Harney Elementary Pre-School, Elementary School / Public 4 0.29 mi. Elizabeth City Middle Middle School / Public 3 4.96 mi. Pasquotank County High High School / Public 3 4.95 mi. J C Sawyer Elementary * Elementary School / Public 3 1.37 mi. P W Moore Elementary * Elementary School / Public 1 1.25 mi. Tutor All School * Elementary School, Middle School / Private N/A 1.28 mi. 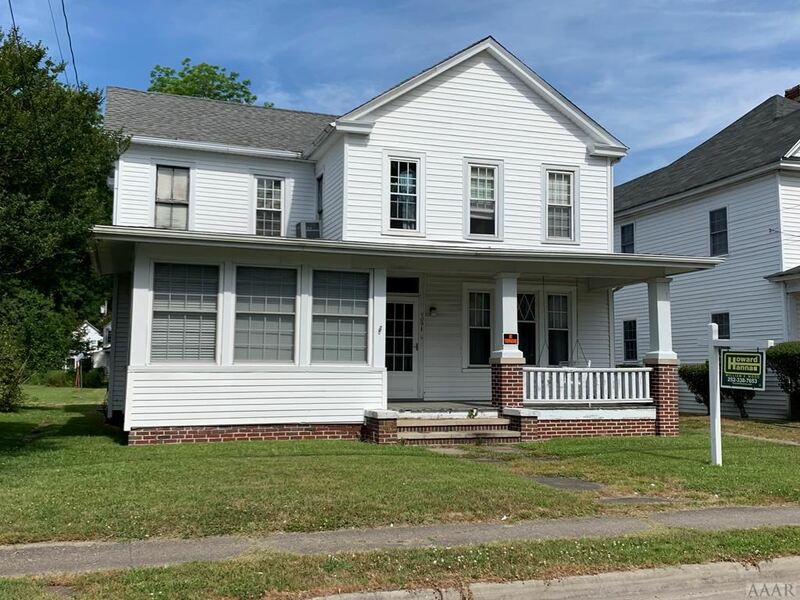 709 N Road Street, Elizabeth City, NC 27909 is a 5 bedroom, 2 bath single family home offered for sale at $69,900 by Stacey White in the Elizabeth City real estate office.